8.6" x 8.5" stitched on 14 count. 6.7" x 6.6" stitched on 18 count. 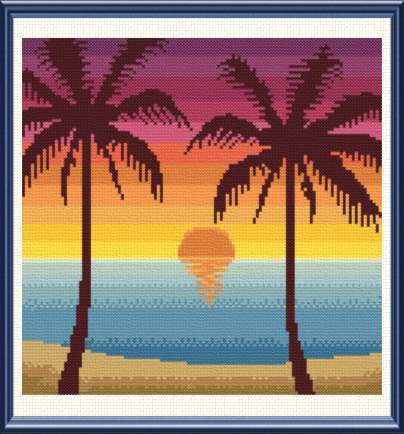 Tropical Sunset cross stitch pattern... This colorful tropical design uses only full cross-stitches. Pattern symbols are in color.